Alan Chambers appeared ever so briefly today on CNN’s The Situation Room with Wolf Blitzer. 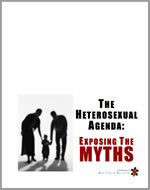 The discussion was concerning whether homosexuality was inborn and whether gays can change. Chambers’s appearance was exceptionally brief, and several observers are now trying to read the tea leaves based on two very terse snippets. For one for someone to simply think that going from straight to gay is like flipping a light switch, that’s something that we want to correct at every turn. This is very much in line with what he told an audience at Love Won Out in Phoenix last February. Alan Chambers gave a workshop, attended by about seventy-five people out of the 700 total attendance, in which he cautioned about setting realistic expectations for change. He also talked about his own struggles, and he candidly discussed the fact that even though he is happily married, his struggles continue. I think the message he gave to that audience was brave, candid, realistic and honorable, and stood in sharp contrast to the absolute assurances offered by other speakers at the conference. Having grown up in church I understand and fluently speak Christianese. The culture at large doesn’t always understand the way we speak. This is something that we are aware of at Exodus and are making a more concerted effort to change. ..Messaging is important as is honesty. Our intention with this ad was simply to call the church to sudden, radical and complete change regarding how we have traditionally dealt with the issue of homosexuality. As an outside observer, it looks to me as though Alan is trying to walk a delicate balance between what he knows to be true about “change” and the expectations of his more hard line associates. At least that’s what I see in the tea leaves. Sometimes I think I see some very good instincts, but then I see where he’s not even close to being consistent in following them. But I am encouraged whenever I see a step in the right direction. And he’ll have several opportunities to exercise his better instincts in the weeks to come. Let’s take for this for example. If he’s really serious about calling on the church “to undergo a sudden, radical and complete change in the way it has dealt with the issue of homosexuality,” I hope that he plans on having a heart-to-heart chat with Rev. 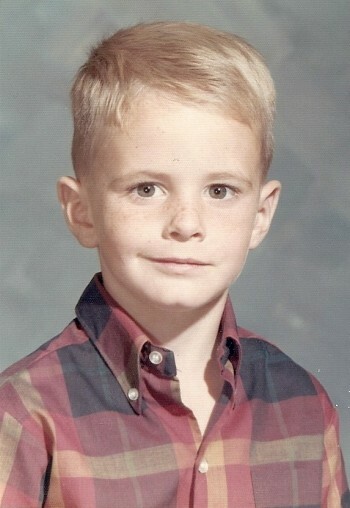 Ken Hutcherson. Hutcherson, remember, has been working with holocaust revisionist Scott Lively to stir up anti-gay passions in Latvia. He will also be a featured speaker at the upcoming Exodus conference. It seems to me that in changing the way the church deals with homosexuality, this would be one good place to start. And in the political sphere, I hope he rethinks his strategy and avoids these blatently false arguments against the proposed hate crimes legislation. If he’s going to oppose this legislation, there are honorable ways to do it. But I hope he reads the actual text first before committing an act of False Witness. And once again, the deliberate, intentional lying comes into play – which apparently is at the very foundation of their “deeply-held” beliefs. I looked at the tea leaves and all I saw was orange pekoe. But if Alan thinks “ex-gay” is deceiving, I certainly welcome any move towards honesty. But “former homosexual” is less truthful than “ex-gay”. I think his comments to the LA Times were good; I hope he continues in that vein.